Caitlyn Jenner, in her first speech since identifying as transgender, said Wednesday that she wants to "reshape the landscape of how trans issued are viewed," and invited her peers in the sports world to join her in "making this one of your issues." 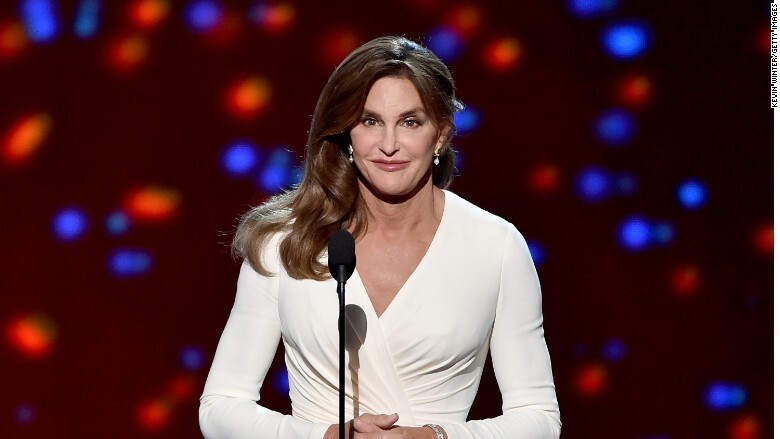 Jenner, 65, received ESPN's prestigious Arthur Ashe Courage Award at the sports network's annual ESPYs awards ceremony. It was a moment several months in the making: her first major public appearance since undergoing facial feminization surgery. She joked about the pressure of picking out an outfit -- a white Versace wrap gown -- but focused the rest of her speech on the serious challenges that transgender youth face. Speaking in prime time on the ABC television network, Jenner acknowledged her own privileges and celebrity status, saying, "If you want to call me names, make jokes, doubt my intentions, go ahead. Because the reality is, I can take it. But for the thousands of kids out there coming to terms with being true to who they are, they shouldn't have to take it." She said her message was fundamentally about acceptance, emphasizing that transgender individuals "deserve your respect." "It's not just about one person," she said. "It's about thousands of people. It's not just about me. It's about all of us accepting one another. We're all different. That's not a bad thing. That's a good thing." The Olympian turned reality TV star thanked her children and stepchildren, who were seated in the audience at the Los Angeles ceremony, and her mother Esther. Looking at Esther, Jenner said, "I always thought that I got my courage and my determination from my dad, who landed on Omaha Beach; fought all the way through World War II; but you know what, I'm realizing now, mom, I think I got all those qualities from you." Jenner received repeated standing ovations from the crowd after being presented with the award by Abby Wambach, the famed soccer player. Wambach called Jenner "courageous and stunning." Jenner said her gender transition and the public attention that has accompanied it "has been harder on me than anything I could have imagined." Jenner, formerly Bruce, spoke about being transgender for the first time in an interview with ABC's Diane Sawyer that was televised in late April. 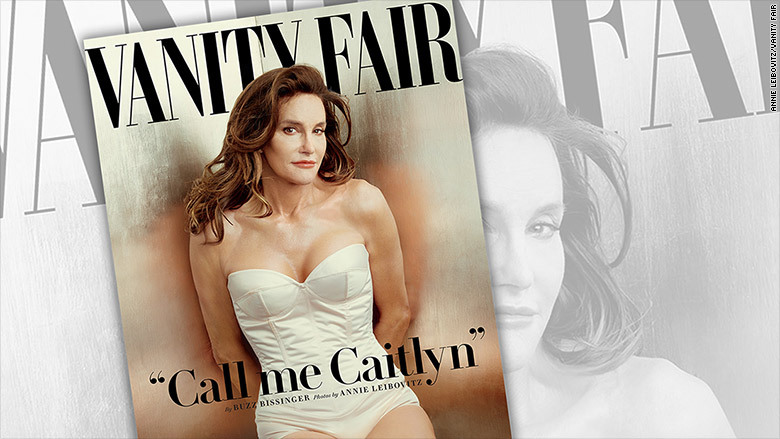 In early June, she shared the new name she had chosen -- Caitlyn -- and appeared on the cover of Vanity Fair magazine. That same day, her ESPYs award was announced by ESPN. ABC and ESPN are both owned by The Walt Disney Company. The recognition has been accompanied by a significant amount of controversy. Some critics have said other athletes are more deserving of the courage award. ESPN defended the decision, citing Jenner's "athletic prowess and determination" at the 1976 Olympics and the "strength of character" that was on display in her ABC interview. The Arthur Ashe Courage Award has been presented every year since the sports-related ESPYs were established in 1993. Recent recipients have included football player Michael Sam, "Good Morning America" co-host Robin Roberts, and longtime University of Tennessee women's basketball coach Pat Summitt. Jenner did not directly address critics of ESPN's decision on Wednesday. But she sought, throughout her speech, to make it about other transgender individuals. She named several other celebrities who are trans, like the former tennis player Renee Richards and the television star Laverne Cox. She also told viewers about Sam Taub, a transgender teenager who committed suicide around the same time Jenner's ABC special aired. "All across this country, right now, all across the world, at this very moment, there are young people coming to terms with being transgender," Jenner said. "They're learning that they're different and they're trying to figure out how to handle that, on top of every other problem that a teenager has. They're getting bullied. They're getting beaten up. They're getting murdered. And they're committing suicide." Before the speech aired, advocates for the transgender community said the courage award presentation could have positive effects on the public at large. And right afterward, a director of the Human Rights Campaign's foundation, Jay Brown, said in a statement that "the image of Jenner, with her supportive and loving family, being honored for her courage by World Cup champion Abby Wambach, sends a powerful message to transgender people who all too often face rejection, harassment, and ridicule." Jenner's next public stage will be a new reality show all about her transition, called "I Am Cait." The show will premiere on the E! channel on July 26.